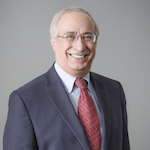 Dr. Fred Aminzadeh is Professor of Petroleum Engineering and Electrical Engineering, and Executive Director of its Global Energy Network (GEN.usc.edu). He also leads USC Reservoir Monitoring Consortium (RMC.usc.edu), Induced Seismicity Consortium (ISC.usc.edu) and Center for Geothermal Studies (CGS.usc.edu). He has over 30 years of international experience in the oil and gas industry. His technical expertise includes: induced seismicity, seismic attributes inversion, AVO, reservoir characterization and monitoring, reserves evaluation, passive and 4D seismic, fractured reservoirs, unconventional fields and CO2 sequestration. He was the president of Society of Exploration Geophysicists (2007-2008) and represented SEG at the Unconventional Resources Technology Advisory Committee (URTAC), reporting to the secretary of Energy and Oil and Gas Reserves Committee (OG-RC) and JCORET. He previously worked in technical and management positions, including manager of geophysical technology at Unocal (now Chevron). He was also president and CEO of dGB-USA (dgbes.com and member of technical staff at Bell Laboratories. He also consulted at several National Laboratories including Lawrence Berkeley (LBNL), Lawrence Livermore (LLNL), Los Alamos (LANL), Oak Ridge (ORNL) and National Energy (NETL.) He teaches graduate level courses on Intelligent and Collaborative Oilfield Systems Characterization & Management, and Advanced Oilfield Operations with Remote Visualization and Control. He holds 3 US patents, with another 2 pending. He has authored 14 books and over 350 publications spanning wide areas. He holds a Ph.D. degree from USC.